Looking to spend a nice weekend outdoors this fall? 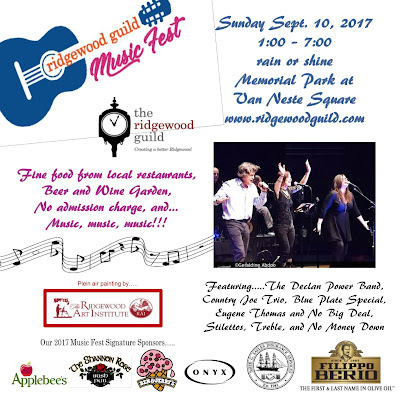 The Ridgewood Guild is holding its 4th Annual Music Fest on September 10, 2017 from 1pm to 7pm in Memorial Park at Van Neste Square in downtown Ridgewood, NJ rain or shine. Bring your lawn chairs, sit back and listen to a variety of great local bands. Admission to the event is free. When you're hungry, take a stroll around the park and visit the tables of many of your favorite local restaurants which will have food for purchase. There's also a Beer and Wine Garden for adults. Also see what Plein Air Painting is, done by the Ridgewood Art Institute. 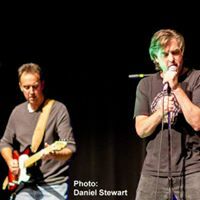 The bands that will be playing throughout the day are: The Declan Power Band, Country Joe Trio, Eugene Thomas and No Big Deal, Blue Plate Special, Stillettos and No Money Down. Expect to hear some great music in a variety of genres. The Beer and Wine Garden is sponsored by Steel Wheel Tavern and Super Sellers, which will feature many different brands for purchase. Participating restaurants are: Steel Wheel Tavern, Applebee's. Roots Steakhouse, Raymond's, Tito's Burritos, Puzo's, Super Juice Nation, Stella amd Crawfish Cake Co. Desserts will be from Ben & Jerry's and Kilwin's. "We're very proud to be holding this event once again," states Tony Damiano, President of the Ridgewood Guild. "This is a great showcase for our local bands and restaurants, and this year, there is no admission fee. We are thankful to our sponsors for allowing us to hold an event like this and I want to also thank our committee of volunteers for putting this together." Committee members are Paul Markosian, Diane Nilson and Declan Power. Signature Sponsors for the 2017 Ridgewood Guild Music Fest are: Applebee's, The Shannon Rose Irish Pub, Ben and Jerry's of Ridgewood, Onyx, David G. Sayles Insurance, and Filippo Berio Olive Oil. The Ridgewood Guild is a volunteer organization dedicated to making Ridgwood a better place to shop, dine and visit. 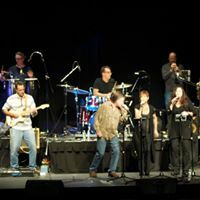 The Guild holds events throughout the year including Music in the Night, Movies in the Park, Art in the Park, Winterfest and the Ridgewood Guild International Film Festival, which is recognized throughout the metropolitan area and getting acclaim for its films and celebrities. Next year's film festival will be held in May. For information on all events visit the Ridgewood Guild website or Facebook: https://www.facebook.com/ridgewoodguildnj, Twitter @ridgewoodguild or Instagram: https://www.instagram.com/ridgewoodguildnj/. For more info visit www.RidgewoodGuild.com or call 201-493-9911.